This amazing birthday cake was made for me by a coworker/friend! She did such an incredible job that I had to share it. The Dolphins on the cake were edible but I couldn’t bring myself to eat them so I decided to save them instead! 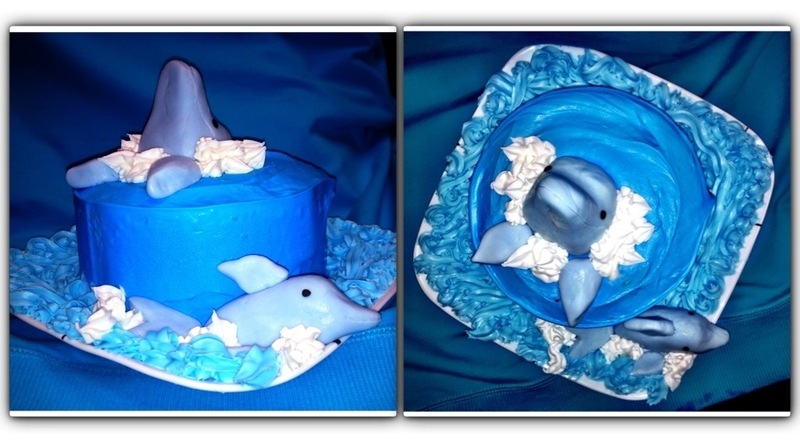 If you have a dolphin loving friend this is the perfect idea for a birthday cake! I absolutely loved it!! Minds in the Water ... Another must see! Reflections of a Cove Guardian – What has changed in 4 years? Wishing these two a lifetime of love and happiness as they prepare for their wedding tomorrow! @renaecurrie @m_davis79 May you never stop saying words of love to each other!